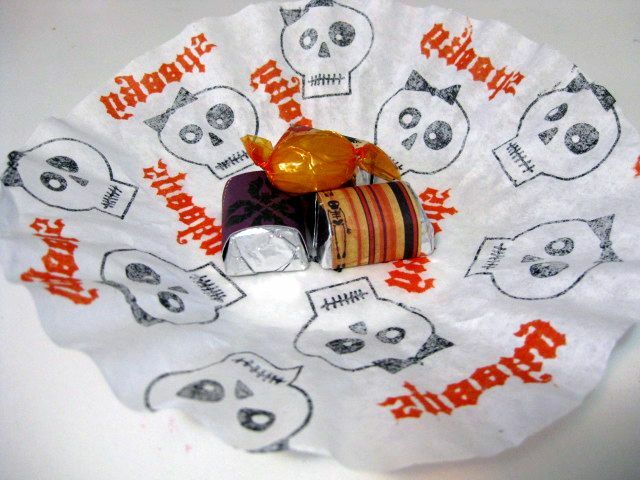 Savvy n Sassy has a great upcycle tutorial for coffee filters. 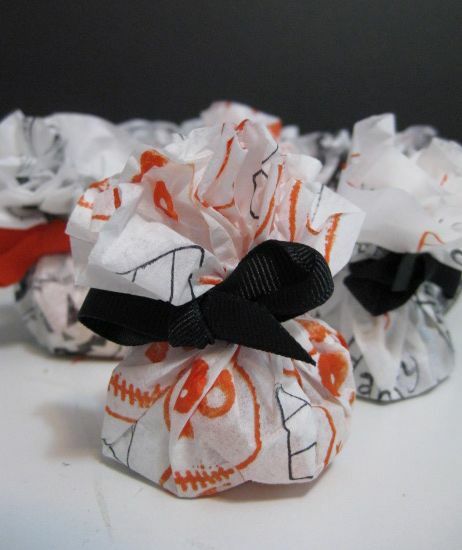 These Halloween bags are just adorable, and are definitely party worthy ideas! 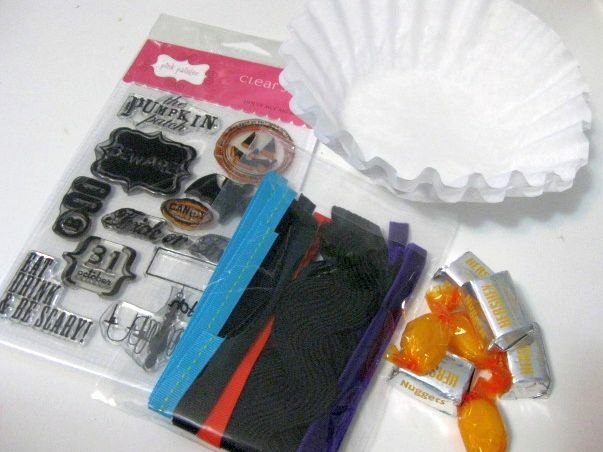 You will need: a coffee filter, some Halloween stamps, ink, ribbon and some sweet treats! 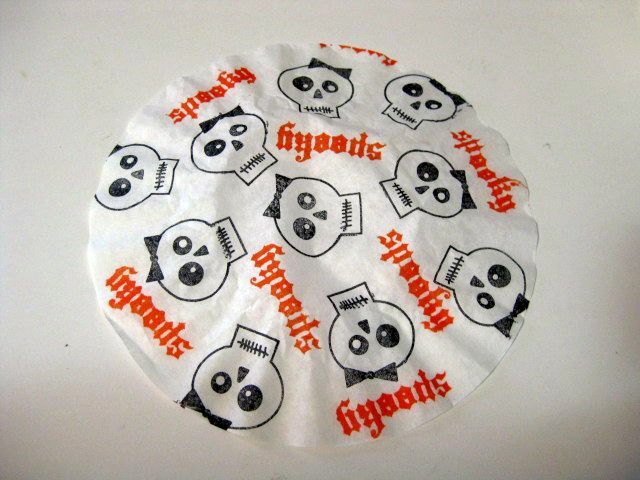 First step, stamp one side of your coffee filter. Then, flip it over (wrong side up), and add in your sweet treats. I chose to wrap my treats in some Halloween paper, but that’s up to you! Wrap up your treats, and tie with some ribbon. All done! !